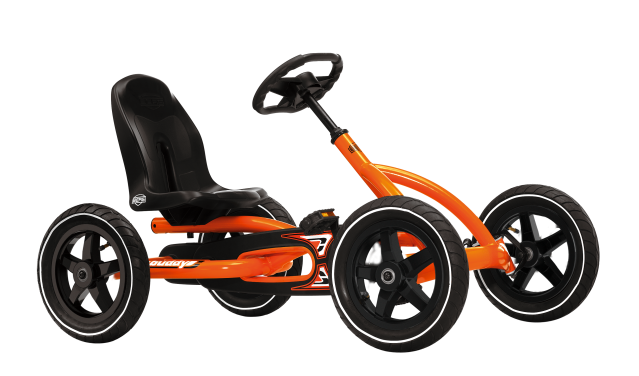 Pros: The Hauck Lightning Pedal Go-Kart include the ease of putting the unit together, and the rubber tires that stablize the ride. The main body comes in the box fully pre-assembled. One simply will attach the four wheels, steering wheel, and secures the seating at the desired length with the bolts provided. 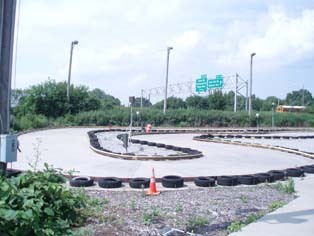 The traction one can attain while driving the Go-kart is very good, since all four tires are made out of rubber, which grabs all types of surfaces. Cons: The rear axle can get bent if one is too reckless, and the chain can come off of the unit periodically. 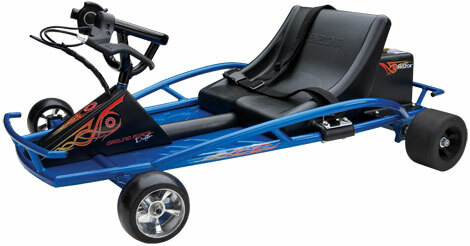 The Hauck Lightning Pedal Go-Kart, model number M90105, is manufactured by Hauck Toys for Kids. Depending upon the outlet one chooses to shop, the manufacturer’s suggested retail price comes in between $100 and $150. The majority of the user ratings are on average at four stars out of five. 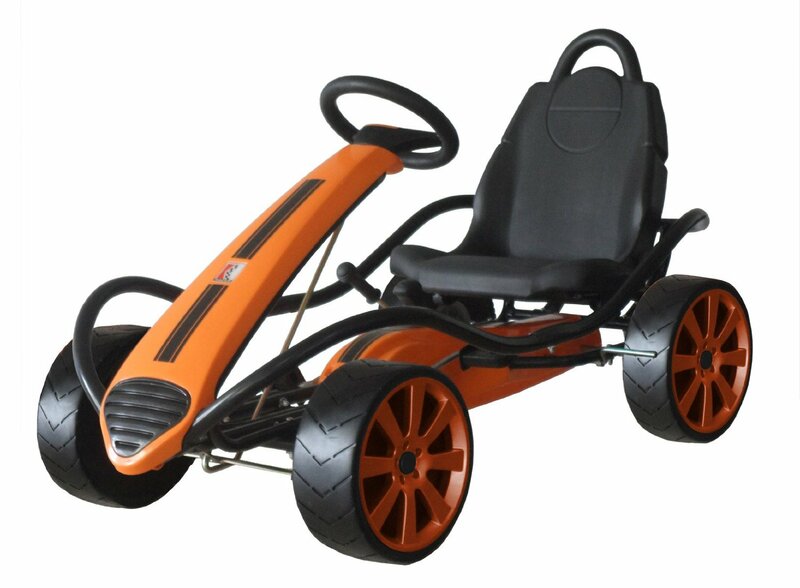 The Go-kart model M90105 weighs in at 22 pounds, and is 35 inches long, by 20 and one half inches wide, by 22 inches high. It is recommended for children between the ages of four and seven years old, no taller than four feet, and with a weight limitation of 100 pounds. 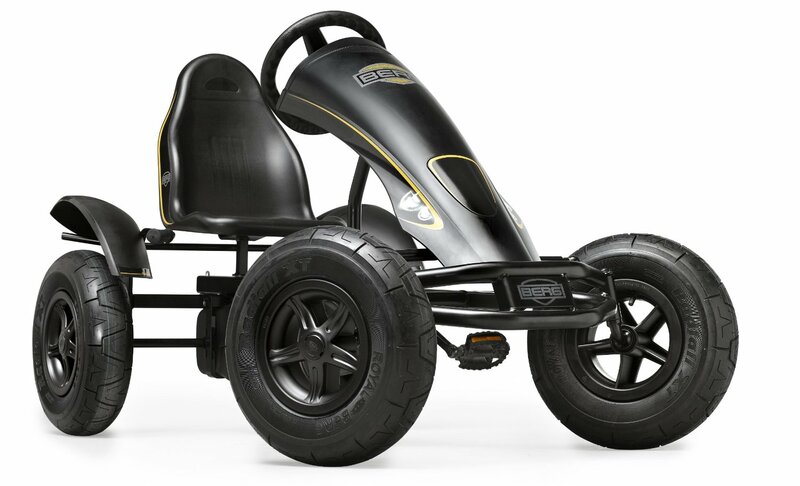 The Hauck Lightning Go-kart can be ridden in the gravel, pavement, grass, and off road in the dirt. Hauck offers a one year warranty, and color options offering include, black, blue, and green. 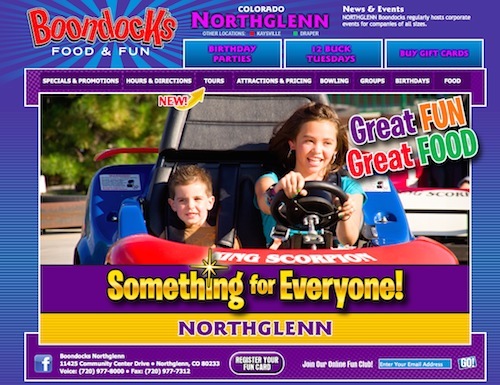 Take advantage of the one year warranty if one has any issues with the Go-kart. 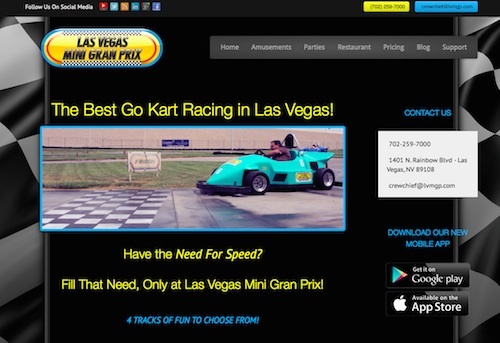 Overall, the design is solid, which permits the user to peddle as fast or slow as they wish. First and foremost, ensure the rider is equipped with a bike helmet to make certain they are safe. 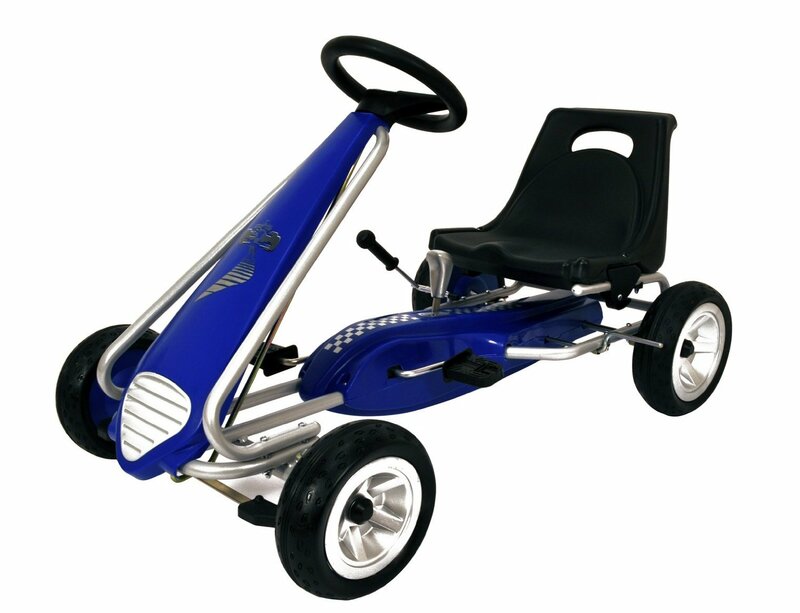 The child will have full control of the Go-kart, which includes the opportunity to ride forwards and backwards. The brakes lock up, so that the rider will have no issues with stopping on the dime. The well cushioned seating has a racing style design, and adjusts easily as the child continues to grow. 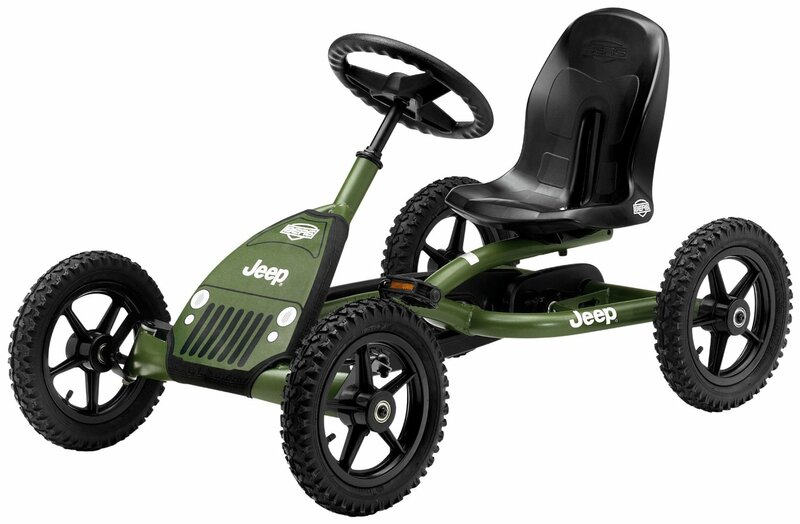 The rubber tires provide a smooth ride, and come equipped with sporty rims, that add to the realistic Go-kart look. The young user will learn how to paddle, and can speed along as fast as their legs can turn. The pedals and chain drive mechanisms are attached to just the right rear wheel. In addition, one will have to adjust to the lack of breaking via the pedals. Instead, the skid break is located next to the steering wheel, with a large knob that the user pulls back on to stop the Go-kart. The steering can be a bit loose, yet one can make a minor adjustment by simply tightening the lug nuts which can become loose with continued use. This will lower the friction that may cause a child a bit of difficulty when attempting to make a left or right hand turn. The pedals are made of plastic and are hollow, yet the added aluminum added to the pedals creates a realistic appearance. 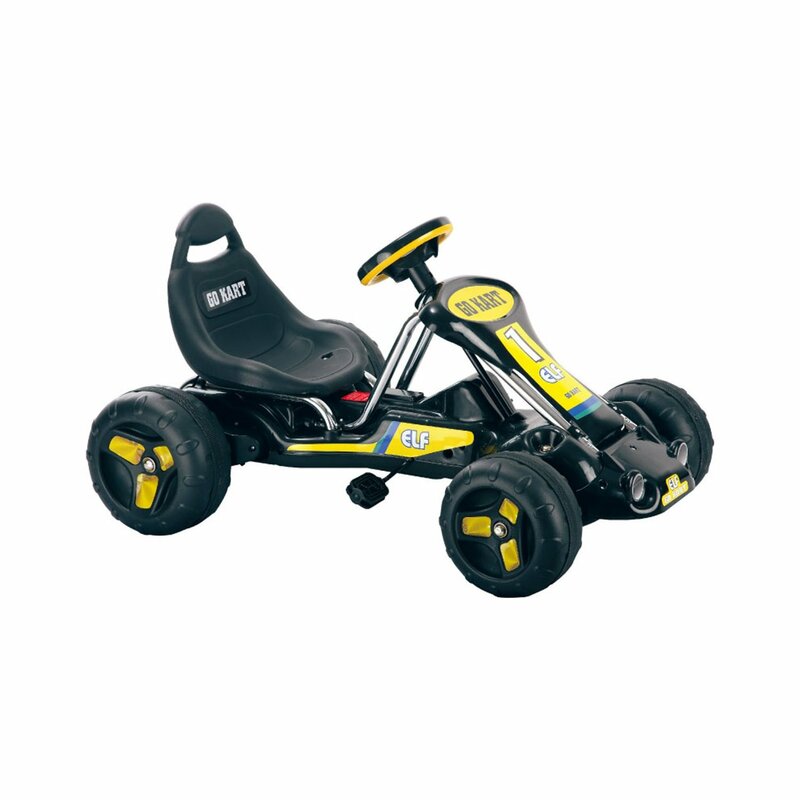 Most importantly, the plastic is easy on a child’s feet, and thus makes it very comfortable for one to drive their Go-kart with their bare feet. Overall, the Hauck Lightning Pedal Go-Kart is made well, and the look will create a wide grin on the face of the user. Many will purchase the product due to the fond memories one had when these type of toys were readily available during their childhood.